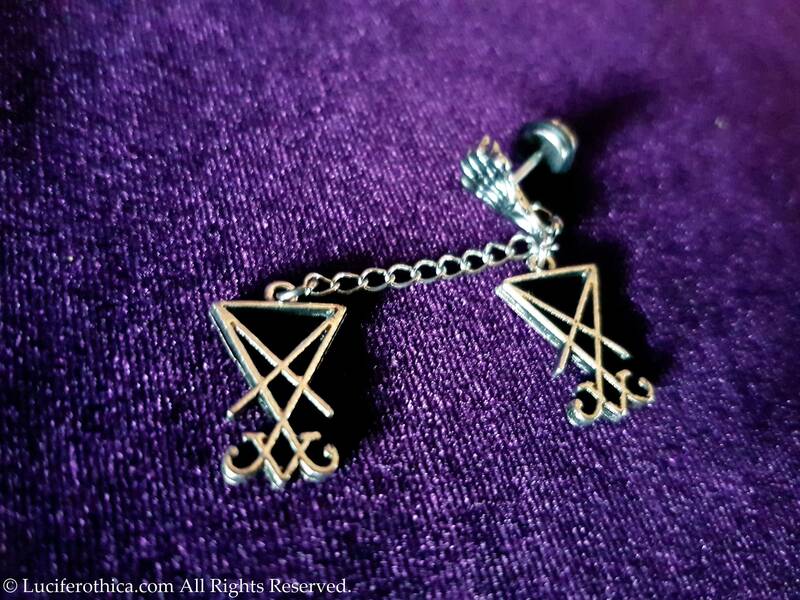 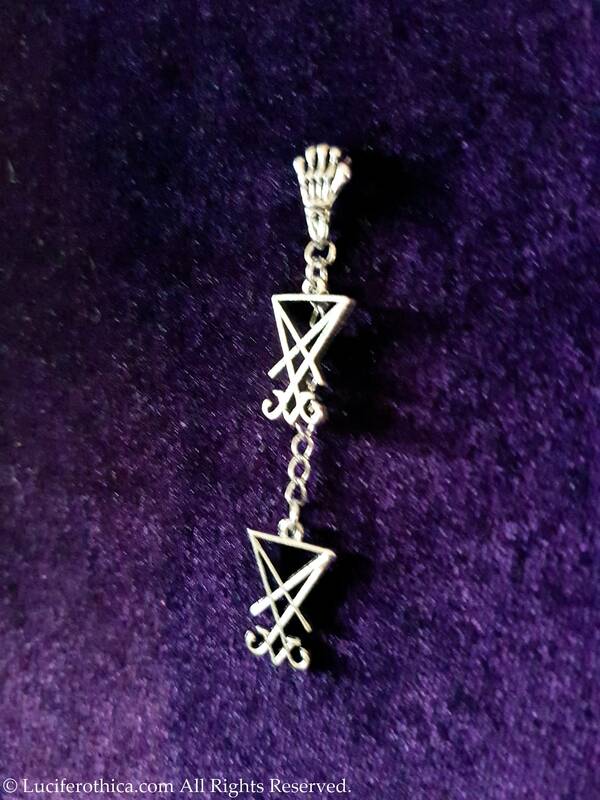 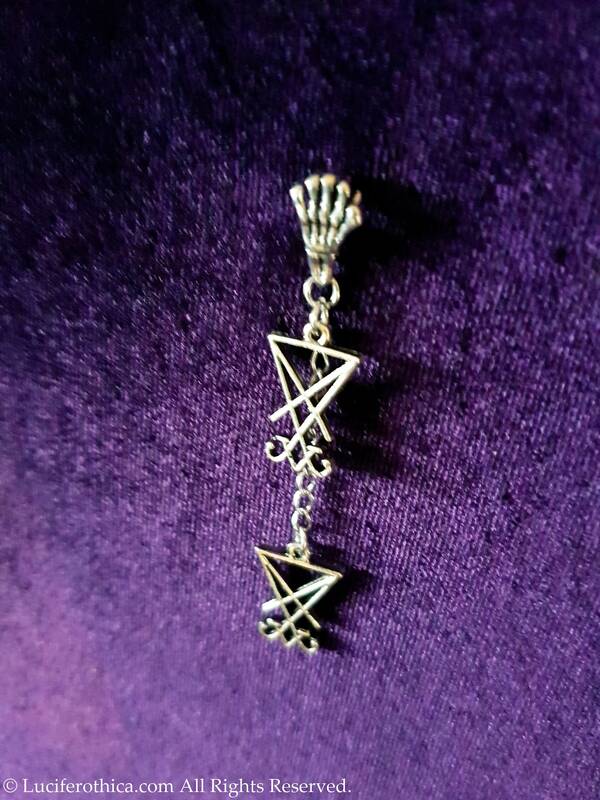 Luciferian Double Sigil of Lucifer Earrings. 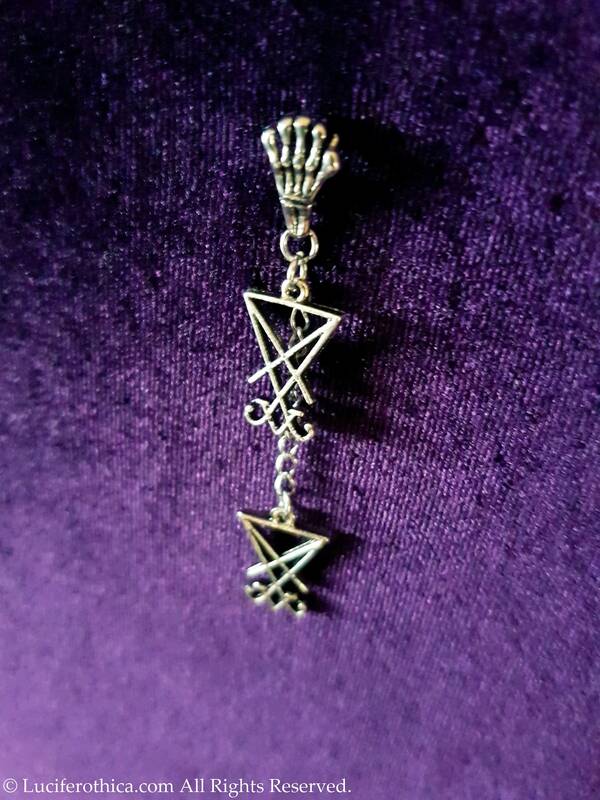 - 2 Mini Sigils of Lucifer. 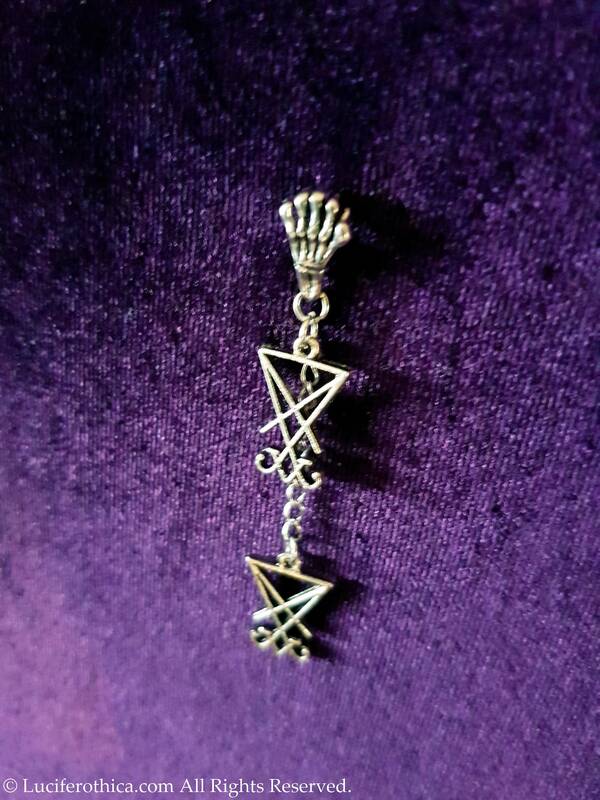 - Mini silver colour hanging chain. 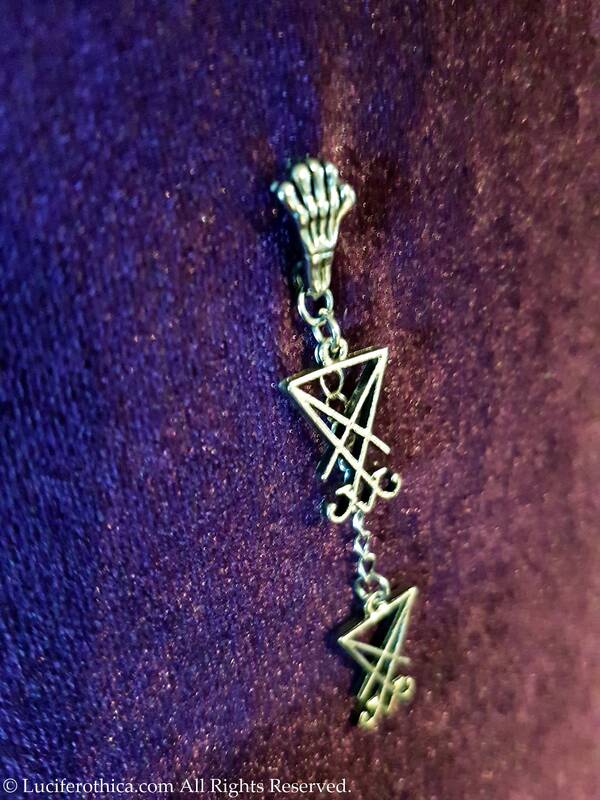 - Skeleton hand on the earstud. 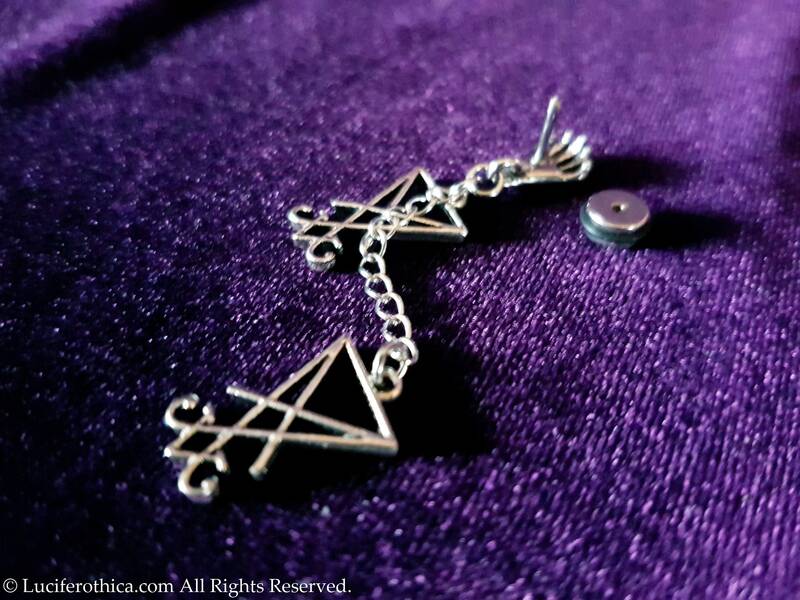 - Stainless steel screw on Earstud.